The royal wedding between Meghan Markle and Prince Harry is finally here! This Saturday at St. George’s Chapel at Windsor Castle, London, Markle and Harry will tie the knot in what’s sure to be a dazzling display before the world. Brian Welk, TheWrap’s in-house royal wedding expert, and Francisco Delgado, who also works at TheWrap, share their thoughts about the royal wedding in this video feature, sharing with you the seven things you need to know about the happy couple and the ceremony. 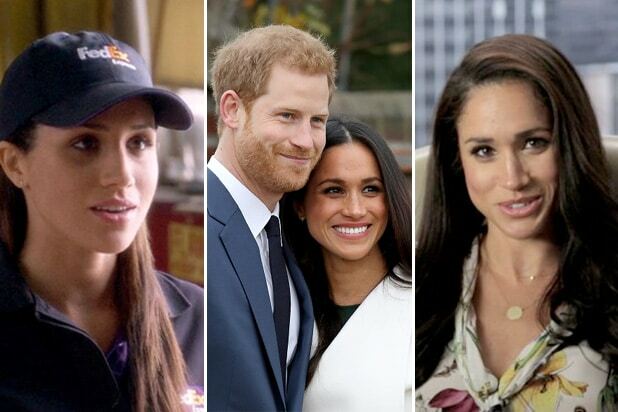 We break down the little-known fact behind Markle’s real first name, Rachel, which celebrities are expected to be invited to the wedding, whether the bride-to-be will become a princess, what Markle and Harry’s titles are expected to be, and — most importantly — how you can watch. Markle is the first American and biracial woman to be welcomed into the royal family, and at age 36, she’s the same age as Harry’s mother Princess Diana when she passed away. And as a Hollywood star known for her work on the show “Suits,” Markle’s rise to royalty is extra special. Delgado even shares the “similarities” between Britain’s obsession with the royals and the culture in his native country of Venezuela. Watch the the royal wedding between Markle and Prince Harry live at 7:00 a.m. ET on Saturday May 19, and watch the video above.